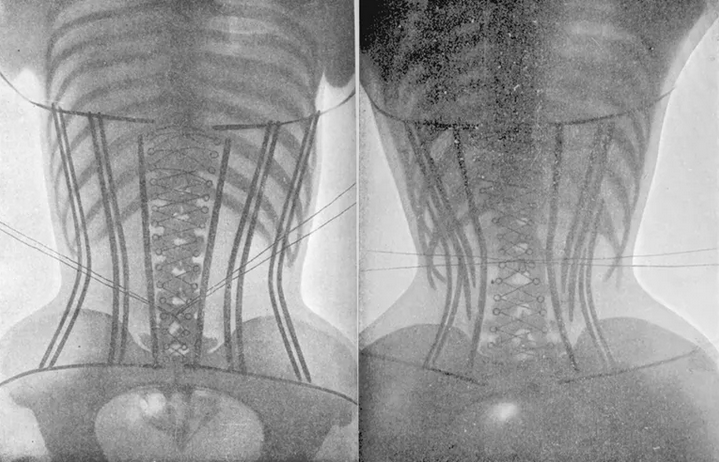 now reading: Did 19th Century Corsets Really Kill Women? These more frightening claims haven't held up under modern scientific scrutiny, but a few concerns have. Tight corsets did make it slightly harder for wearers to breathe, an impediment which almost certainly led to a reduction in salubrious physical activity. Moreover, they caused muscles of the mid and lower back to atrophy, leading to chronic pain and weakness. Still, Corsets did not destroy the health of women, nor did they condemn longtime wearers to early deaths. 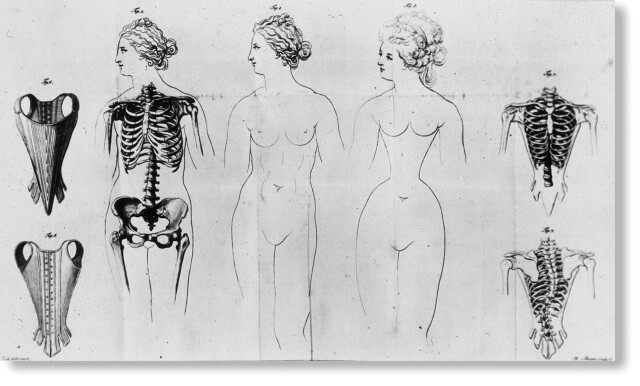 In fact, as Dr. Rebecca Gibson, a Visiting Assistant Professor in anthropology at the University of Notre Dame, discovered when analyzing collections of 18th and 19th century female skeletons, anatomical signs of corset use were actually linked to a longer lifespan. Moreover, extreme skeletal alterations were rare. Gibson found that the average corsetted waist size was 22 inches, which is positively tiny compared to the average female waist size in England or America today – roughly 32-35 inches. But consider that just fifty years ago, the average female waist size in the U.S. was a mere 24-25 inches. For women living in the Victorian era, squeezing into a corset would have been uncomfortable, but probably not torturous, suffocating, or debilitating. The cultural consequences of corsets are still up for debate. Did they pigeonhole women into unrealistic body shapes? Or did they instead allow women to escape from the Victorian era stereotype that they were destined only to be straight-laced, puritan mothers? Regardless, corsets offer a fascinating case study of the human body's ability to adapt. "Corsetting is another important reminder of just how malleable our skeletons are," Switek wrote. "Parts of our skeletons and soft tissues are capable of taking on a greater array of shapes than we see even in natural variation."